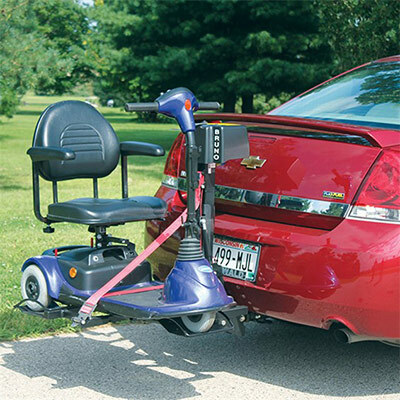 Goldline Mobility and Conversions adds mobility equipment to many makes and models of cars. Our company also sells wheelchair accessible vehicles and modifies full-size vans, trucks, SUVs and taxis to make them wheelchair accessible. 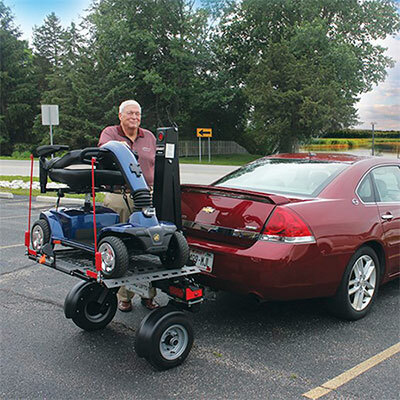 For more than 40 years, Goldline Mobility and Conversions has given customers personal attention to fulfill their mobility requirements. Our clients range from individuals and families to groups and transportation services. We guarantee our work and the products we install. The mobility equipment we provide for cars includes transfer seats, lifts and adaptive driving controls. Designed to make entering and exiting cars easier, transfer seats are available for drivers and passengers. One kind serves as a typical, comfortable car seat until a button is pushed. 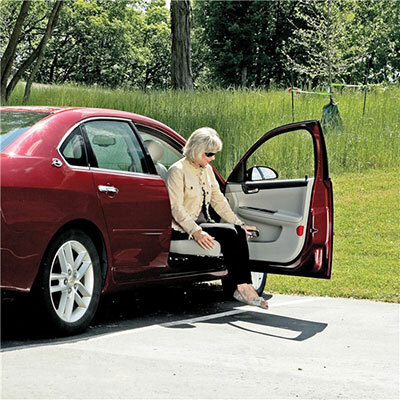 Then it swivels from facing the car's front to its side, where it extends past the door frame to ease the process of sitting on or getting off the seat. Its movement also works in reverse, returning to inside the car and rotating to face its front. Another kind of transfer seat is a cushioned, attached board the driver or passenger sits on while switching from a wheelchair to a car seat, and vice versa. The board's retractable arm provides support during the process, and the board stores between the seat and door. Get in and out of your sedan with ease with Bruno’s Valet LV turning car seat. Featuring the comfort, durability and good looks of Bruno’s Valet Signature Seating line, the Valet LV power rotates at a push of a button -- eliminating the challenge of twisting. Give your sedan a turn for the better with the Valet LV. Available for the Mazda 5 only. 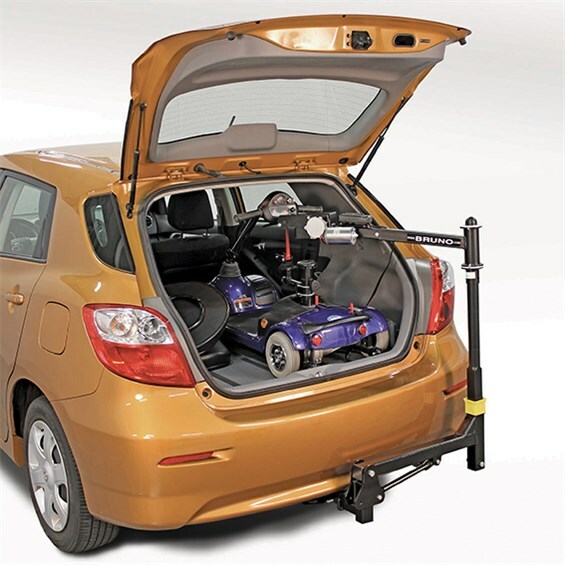 The XL-BOARD is a stationary, foldable and retractable vehicle transfer board designed to bridge the gap when transferring from a wheelchair to a driver or front passenger seat of the Mazda 5®. 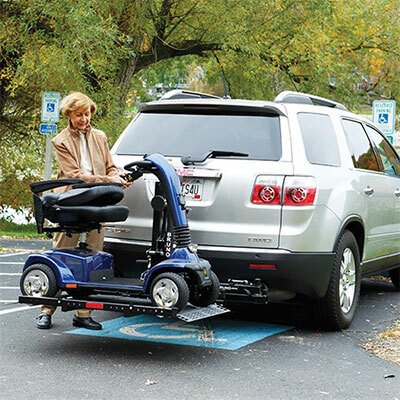 Available for wheelchairs, power chairs and scooters, lifts raise the mobility device off the ground so they can be transported inside or outside cars' rear compartments. The lifts also lower the mobility devices to the ground. Certain kinds of lifts move small models of wheelchairs and scooters into and out of cars. Other types of lifts have platforms on which larger mobility devices set behind cars during transport. Various mobility equipment helps with steering a car, shifting its gears, stopping it and/or operating its accessories. Steering aids that attach onto steering wheels include spinner knobs, tri-pin units and palm grips. We also have low- and zero-effort steering adaptions. Electronic and high-tech mechanisms ease steering, shifting gears and braking. Mechanical hand controls can be operated by the left or right hand, and an accelerator for left-foot use is available. Secondary vehicle controls activate and deactivate accessories such as turn signals, power windows and windshield wipers.